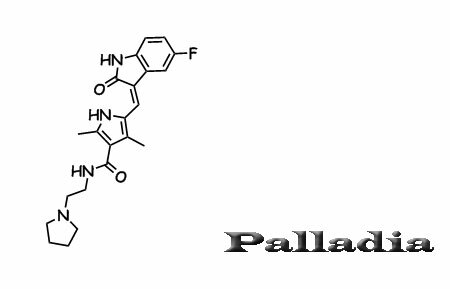 It’s a Ph1 Aurora A/B/C inhibitor for ‘solid tumors’. Seems likely to be a member of one of the phthalazine series’ WO/2008/124083, WO/2008/057280, WO/2007/100646, or WO/2007/087276. * GW-5074 (cRaf inhibitor) weakly hits glutamate dehydrogenase (~2uM, new structure, wiki). Two allosteric inhibitors are better then one! AZD-6244 is Array’s MEK inhibitor [ARRY-886] which failed a solo ph2 endpoint not too long ago.